Ferulic acid is a plant compound with numerous known health benefits. It is absorbed efficiently through skin, where it is effective as a strong antioxidant. Most often it is used in combination with vitamins C and E – this way, the individual benefits of each ingredient are strengthened, resulting in very effective UV protection. This combination even prevents DNA damage and cancer formation. The antioxidant protection is stable, remains safe from rubbing and sweating, and even resistant to natural chemical degradation, giving the product a long shelf-life. Ferulic acid alone is also beneficial, as it can restore collagen synthesis after UV exposure and thus reduce the symptoms of skin ageing. These properties make it a desirable component in sunscreens and antioxidant formulations. NOTE: To assist you with solubility issues, we now sell Ferulic acid in three liquids: pre-dissolved solution, lipsome microemulsion, and ethosome microemulsion. Just add the liquid to your cream and mix well. 6% pre-dissolved solution gives 0.5% Ferulic Acid content in final product. 31% pre-dissolved solution gives 3% Ferulic Acid content in final product. 51% pre-dissolved solution gives 5% Ferulic Acid content in final product. Ferulic acid is commonly used in the Skinceuticals C+E Ferulic serum. C E Ferulic is a revolutionary antioxidant combination that delivers advanced protection against photoaging by neutralizing free radicals, boosting collagen synthesis, and providing unmatched antioxidant protection. More protection means more youthful looking skin and better defense against environmental aging. Ferulic acid is an organic acid, found naturally in several Chinese medicinal herbs and some common plant foods, such as rice bran, olives, artichokes, or, surprisingly, popcorn . It has numerous benefits for health, many of them coming from its antioxidant properties: it can help combat hypertension, diabetes, Alzheimer‘s disease and even cancer. However, used orally, it is rather ineffective due to low absorption. On the other hand, ferulic acid skin application is an efficient means of transporting it into the body . Therefore, this application should be considered not only for skincare, but also for the systemic benefits of ferulic acid. 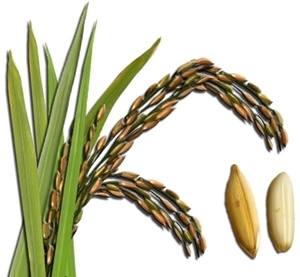 Due to its chemical structure, ferulic acid strongly absorbs UV light. Combined with the antioxidant capabilities, this effect protects other cellular components from radiation damage, so ferulic acid is a desirable ingredient in many sunscreens and lotions . Applying ferulic acid directly after UV exposure had a strong protective effect on volunteers’ skin, as measured by reduced erythema (redness) . This effect is comparable to that of vitamins C and E combined . Second important property of ferulic acid is the antioxidant activity. It is an effective scavenger of free radicals, which are involved in many detrimental processes from cancer development to cell senescence. For example, a superoxide radical can be neutralized equally well by specialized body enzymes or ferulic acid alone . Following UV exposure, the levels of antioxidant enzymes in the cells decrease, but ferulic acid can restore these levels and decrease the amounts of free radicals . Both of these properties led to ferulic acid being used as an addition to photoprotective cosmeceuticals. Most often, a combination of 15 % ascorbic acid (vitamin C), 1 % alpha-tocopherol (vitamin E) and 0.5 % ferulic acid is used. This combination results in twice stronger protection against erythema and sunburn, confirmed by numerous clinical studies , , . Even UV-induced DNA damage and mutations can be prevented by applying this mixture, leading to decrease in cancer occurence , . It is one of the most potent formulations used, as its effectiveness exceeds numerous other chemicals and plant products tested , . Ferulic acid possibly achieves this by stabilizing the vitamins – they degraded rather quickly in simple cosmetic formulations, while addition of ferulic acid resulted in almost no degradation after storing the mixture for a month at a high temperature . Usage of antioxidants instead of simple sunscreens is advised, since sunscreens are easily removed by sweating, rubbing and degradation, while antioxidants, once inside the skin, remain active for several days . Additionally, they offer more complete protection against UV of different wavelengths. Ferulic acid is also able to increase collagen levels in the skin. During investigations of fermented Opuntia ficus-indica extract, which restores collagen synthesis after UV exposure, it was found that the main component of the extract is ferulic acid . Matrix metalloproteinases are degrading enzymes that are activated by UV radiation damage. The activity of these enzymes is significantly reduced by ferulic acid, leading to reduced photoageing of the skin: namely, ferulic acid prevents collagen degradation and restores normal thickness of the epidermis . Using skin cells, it was noticed that melanin concentrations are reduced by the ferulic acid and vitamin E combination, so these ingredients are also beneficial for skin lightening . It has even been used in hair creams, to combat alopecia (hair loss), seborrhea and pruritis . "SkinCeuticals antioxidant combination of C+E+Ferulic delivers an unprecedented 8 times the skin's natural protection against photoaging - neutralizing free radicals, helping build collagen, and providing unmatched antioxidant protection. Containing 15% pure L-ascorbic acid and 1% alpha tocopherol, the addition of 0.5%Ferulic acid doubles the already synergistic benefits of the original high-potency formula, C+E, transforming it into an unrivaled super-antioxidant combination." Once absorbed, this serum can’t be washed or rubbed off. It remains effective for a minimum of 72 hours, making it an excellent addition to sunscreen. The addition of ferulic acid to 15% pure L-ascorbic acid (vitamin C) and 1% alpha tocopherol (vitamin E) increases the environmental protection. This antioxidant combination enhances protection against damaging UV rays to better prevent visible signs of aging. Stimulates collagen production to help diminish the appearance of photodamage. 15% L-ascorbic acid: Neutralizes free radicals and promotes collagen synthesis. 1% alpha tocopherol (vitamin E): Neutralizes free radicals, provides the healing process. 0.5% ferulic acid: This plant-based antioxidant neutralizes free radicals, inhibits UV-induced melanogenesis, and has anti-inflammatory properties. Ethanol (UNdenatured ethanol, vodka, grain alcohol, Everclear). Do NOT use denatured alcohol. NOTE: To assist you with solubility issues, we now sell Ferulic acid in a pre-dissolved solution. Just add the liquid to your cream and mix well. 6% solution gives 0.5% Ferulic Acid content in final product. 31% solution gives 3% Ferulic Acid content in final product. 51% solution gives 5% Ferulic Acid content in final product. Storage: Store in fridge, do not freeze. 56% Ethosome microemulsion gives 0.5% Ferulic Acid content in final product. 56% Liposome microemulsion gives 0.5% Ferulic Acid content in final product. C. Mancuso and R. Santangelo, “Ferulic acid: pharmacological and toxicological aspects,” Food Chem. Toxicol. Int. J. Publ. Br. Ind. Biol. Res. Assoc., vol. 65, pp. 185–195, Mar. 2014. A. Saija, A. Tomaino, R. L. Cascio, D. Trombetta, A. Proteggente, A. De Pasquale, N. Uccella, and F. Bonina, “Ferulic and caffeic acids as potential protective agents against photooxidative skin damage,” J. Sci. Food Agric., vol. 79, no. 3, pp. 476–480, Mar. 1999. E. Graf, “Antioxidant potential of ferulic acid,” Free Radic. Biol. Med., vol. 13, no. 4, pp. 435–448, Oct. 1992. A. Saija, A. Tomaino, D. Trombetta, A. De Pasquale, N. Uccella, T. Barbuzzi, D. Paolino, and F. Bonina, “In vitro and in vivo evaluation of caffeic and ferulic acids as topical photoprotective agents,” Int. J. Pharm., vol. 199, no. 1, pp. 39–47, Apr. 2000. F.-H. Lin, J.-Y. Lin, R. D. Gupta, J. A. Tournas, J. A. Burch, M. A. Selim, N. A. Monteiro-Riviere, J. M. Grichnik, J. Zielinski, and S. R. Pinnell, “Ferulic Acid Stabilizes a Solution of Vitamins C and E and Doubles its Photoprotection of Skin,” J. Invest. Dermatol., vol. 125, no. 4, pp. 826–832, Oct. 2005. T. Pluemsamran, T. Onkoksoong, and U. Panich, “Caffeic acid and ferulic acid inhibit UVA-induced matrix metalloproteinase-1 through regulation of antioxidant defense system in keratinocyte HaCaT cells,” Photochem. Photobiol., vol. 88, no. 4, pp. 961–968, Aug. 2012. Y. Wu, X. Zheng, X.-G. Xu, Y.-H. Li, B. Wang, X.-H. Gao, H.-D. Chen, M. Yatskayer, and C. Oresajo, “Protective effects of a topical antioxidant complex containing vitamins C and E and ferulic acid against ultraviolet irradiation-induced photodamage in Chinese women,” J. Drugs Dermatol. JDD, vol. 12, no. 4, pp. 464–468, Apr. 2013. C. Oresajo, T. Stephens, P. D. Hino, R. M. Law, M. Yatskayer, P. Foltis, S. Pillai, and S. R. Pinnell, “Protective effects of a topical antioxidant mixture containing vitamin C, ferulic acid, and phloretin against ultraviolet-induced photodamage in human skin,” J. Cosmet. Dermatol., vol. 7, no. 4, pp. 290–297, Dec. 2008. J. C. Murray, J. A. Burch, R. D. Streilein, M. A. Iannacchione, R. P. Hall, and S. R. Pinnell, “A topical antioxidant solution containing vitamins C and E stabilized by ferulic acid provides protection for human skin against damage caused by ultraviolet irradiation,” J. Am. Acad. Dermatol., vol. 59, no. 3, pp. 418–425, Sep. 2008. E. M. Burns, K. L. Tober, J. A. Riggenbach, D. F. Kusewitt, G. S. Young, and T. M. Oberyszyn, “Differential effects of topical vitamin E and C E Ferulic® treatments on ultraviolet light B-induced cutaneous tumor development in Skh-1 mice,” PloS One, vol. 8, no. 5, p. e63809, 2013. J.-Y. Lin, J. A. Tournas, J. A. Burch, N. A. Monteiro-Riviere, and J. Zielinski, “Topical isoflavones provide effective photoprotection to skin,” Photodermatol. Photoimmunol. Photomed., vol. 24, no. 2, pp. 61–66, Apr. 2008. J. A. Tournas, F.-H. Lin, J. A. Burch, M. A. Selim, N. A. Monteiro-Riviere, J. E. Zielinski, and S. R. Pinnell, “Ubiquinone, Idebenone, and Kinetin Provide Ineffective Photoprotection to Skin when Compared to a Topical Antioxidant Combination of Vitamins C and E with Ferulic Acid,” J. Invest. Dermatol., vol. 126, no. 5, pp. 1185–1187, Mar. 2006. D.-W. Cho, D.-E. Kim, D.-H. Lee, K.-H. Jung, B.-S. Hurh, O. W. Kwon, and S. Y. Kim, “Metabolite profiling of enzymatically hydrolyzed and fermented forms of Opuntia ficus-indica and their effect on UVB-induced skin photoaging,” Arch. Pharm. Res., vol. 37, no. 9, pp. 1159–1168, Sep. 2014. V. Staniforth, W.-C. Huang, K. Aravindaram, and N.-S. Yang, “Ferulic acid, a phenolic phytochemical, inhibits UVB-induced matrix metalloproteinases in mouse skin via posttranslational mechanisms,” J. Nutr. Biochem., vol. 23, no. 5, pp. 443–451, May 2012. M. Ichihashi, Y. Funasaka, A. Ohashi, A. Chacraborty, N. U. Ahmed, M. Ueda, and T. Osawa, “The inhibitory effect of DL-alpha-tocopheryl ferulate in lecithin on melanogenesis,” Anticancer Res., vol. 19, no. 5A, pp. 3769–3774, Oct. 1999.